This giveaway is now closed. But keep reading. This book is awesome. Marie is one of my peeps. Like sister-quality peep. We’ve worked together, run together (okay, I did the driving, she did the running, but who’s keeping track? ), played together, eaten together, slept together (one of the best conference roommates ever), been pulled over for drunk driving together (no one was drunk, and the cop thought he was a real funny guy…he wasn’t…see “Incident #2” on this post for details). You get the drift. We’ve done a lot together. And I love her to pieces. So I am SUPER excited to share some Marie-ness with you today. On top of being a totally amazing person, Marie has an amazing blog. And now she’s taken that amazingness and put it in a book! That’s right, Marie just published her first book! I’m so happy for her! Yea Marie!!! 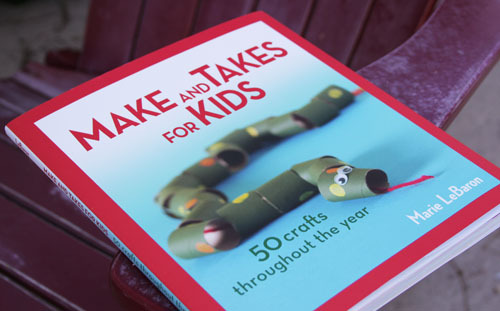 Make and Take for Kids published by Wiley is Marie’s new book and it’s just as great as I was expecting…and I am not just saying that because I love Marie. It really is fabulous. Case in point: after my copy came in the mail last week I set it on the coffee table. It was the first thing Cate noticed when she got home from school. She immediately picked the book up, perused her way through all the fun projects, and sat down to make a turkey. Not kidding, within five minutes of opening the book she was already in the thick of a great project, without any help from me. 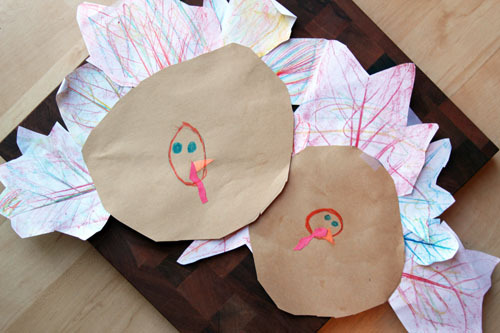 Cate’s Crafty Turkeys…Thanks to Marie’s Inspiration! The projects are perfect for kids of all ages and are organized by month, so they are seasonal as well. Everything is clear and organized well and the photography is great. There are also fun food-related projects! Yum, yum! Given that it’s the holiday season, this would be a great gift for the anyone who likes crafting with kids…parents, teachers, grandparents. In fact, I think it would even be a great gift idea for the kids themselves! Since the holidays are all about giving, Marie is offering up a free copy for one of you lucky people! As always, simply leave a comment on this post by Midnight PT on Monday, December 5. The randomly-selected winner will be announced on Tuesday, December 6. If you are in the thick of holiday shopping or are just dying to get your hands on the book NOW, Marie’s book should be available at all major bookstores or you can find it online at Barnes and Noble, Amazon.com, and Walmart.com. ‘Cook Without a Book: Meatless Meals’ Giveaway Winners! Congratulations, ladies! You’ll love the book! Big thanks to Three Many Cooks for this wonderful giveaway! 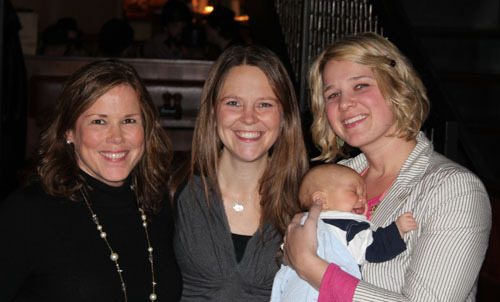 YEARS ago we met up with some friends for their cute daughter’s birthday. 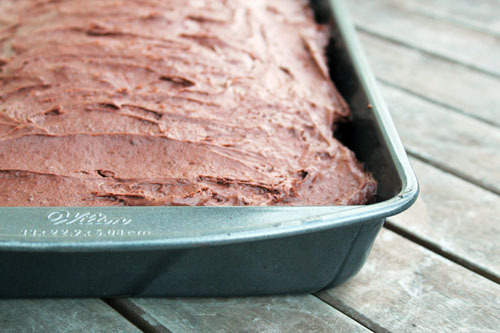 Emily (the mom and my dear friend) cooked a cake in a 9×13 pan and then made a really fast, really easy, REALLY yummy “frosting” for the cake. For whatever reason that cake popped into my head a few weeks ago and I got a hankering. 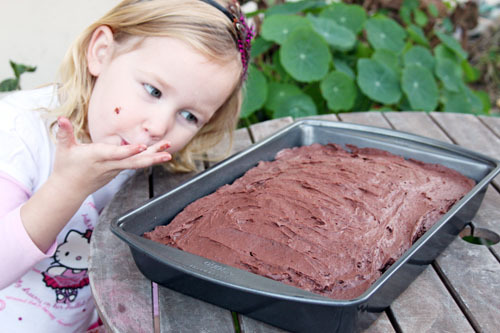 I emailed Emily for the recipe and made a cake the very next day! When Emily made this frosting, it was soft and spreadable. When I made it, it was thick as could be and hard to spread around. I think the difference must be that I used my hand mixer. The stuff thickened up so fast I had zero control over the final product. I’m thinking whisking by hand is the way to go! Also, if you do whip it up thick, this recipe would be a great filler for a layer cake. In fact, I am definitely going to try that sometime! Whisk together by hand until the desired consistency. If you use a hand mixer, it will get very thick, very quickly and could be used as a nice filler for a layer cake. Also, I used a lot more cream and a lot less pudding”¦probably ¾ of a box of pudding and 1 pint of cream. The main reason for this change is I had used the hand mixer and it got so thick so fast, I had to add more cream. Just play around with it to your taste! I hope you all had a great Thanksgiving! I cooked literally all day on Thursday, which was lots of fun after months of not cooking at all. We spent the weekend feeling very thankful for all that we have…well, except maybe the disaster that is our girls’ room right now. 😉 I just finished stringing the lights on our Christmas tree and am looking forward to sitting down with a mug of hot chocolate. May this be the first of many more mugs this winter! THANK YOU for sharing your wonderful Thanksgiving menus! It was so fun and inspiring to read through them all! Be sure to enter the fabulous cookbook giveaway that is running right now…you have until Tuesday night to comment. AND…as always…please share your lovely menus for the week! This Thanksgiving Nate and I have been feeling especially grateful. I feel like I need to get it down on paper, to take a moment and reflect on what exactly it is we are thankful for. For Owen. I haven’t talked much about Owen’s birth here on the blog, and I still won’t go into all the gory details, but it was scary. We ended up with a prolapsed cord and from the time they discovered the problem to when Owen was out was only six minutes, six sad and harrowing minutes. Over the days following the c-section, various doctors and nurses would say things in reference to the surgery, comments that slowly made us realize just how grave the situation had been. I have shed many tears reflecting on the experience, but the one thing that keeps me together is the gratitude. The overwhelming gratitude I feel when I look at my healthy, happy baby boy. Every second we have with him is truly a blessing. My friend Kami recently experienced a c-section eerily similar to mine. Only there was one glaring difference…while I was 41 weeks pregnant and ended up with a healthy baby, sweet Kami was only 26 weeks along. Her baby girl Afton only weighed 15 ounces. And Afton only experienced one week on this earth. There were far too many “onlys” for Afton and her family. Their experience is simply heartbreaking. And while my heart has broken a thousand times over for Kami, I also feel grateful for her wonderful example of faith and hope. It is truly amazing. For every moment I have with my three children and my husband. A friend of mine just found out her 20-month old has leukemia. The prognosis is good. But it’s still hard and scary. Last night when I was talking with Angela, we were reflecting on how you never expect life to change so drastically, for these kinds of things to happen to you. When she took her daughter to the doctor for a fever, she never would have thought they’d be heading to the hospital for weeks of chemo. Life takes turns – sometimes good, sometimes not-so-good. Which is why I’m feeling so grateful this week. Grateful for each moment we have together because, as Brian Andreas put it so beautifully, the world is so beautiful and life is so short. For family who sacrificed time, money and sleep to come help us after Owen’s birth. For friends, who brought us countless dinners and helped out with the girls in countless ways. I have been continuously awed over the last two months at how people step up in times of need. It’s amazing. I learned to accept service, to admit that I couldn’t do it all, to ask for help over and over again. And the love we’ve felt as a result of needing that help has been overwhelming. I am thankful that we will be able to provide that same love and support for others in need when the time comes. This giveaway is now closed…but keep reading because you need to check this book out! With Thanksgiving right around the corner, one of the things I’ve been thinking about is how grateful I am for the friends that I’ve made through blogging. I have met some truly choice people in the blogging community and now have a group of dear, close friends scattered about the country. I could never have predicted that this supportive and loving network of friends would be one of the benefits (and the best one by far) of writing my blog. The lovely ladies of Three Many Cooks are most definitely a part of that amazing network. Pam Anderson, famed cookbook author, and her daughters Sharon and Maggy are talented, kind, gracious, supportive…I’m blessed to be able to call them friends! Pam has published yet another wonderful book and I am so excited to share it with you. 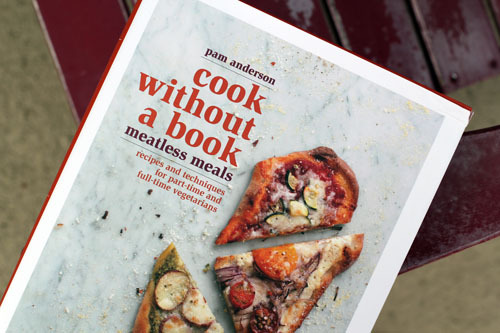 Cook Without a Book: Meatless Meals is a return to Pam’s theme of cooking without a book but applied to, you guessed it, meatless meals. As you know, one of the things that I am passionate about is reducing meat consumption to help the environment. Needless to say, I was super excited about Pam’s new book! And, of course, we are giving some copies away! 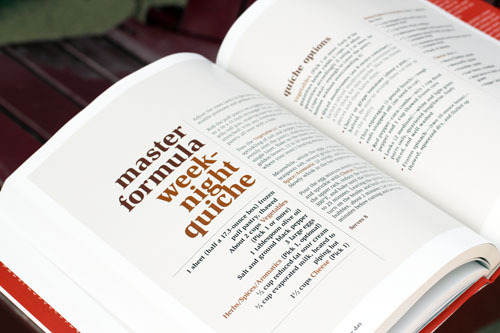 THREE of you randomly-selected lucky people will win a copy of Cook Without a Book: Meatless Meals! As always, all you need to do is leave a comment on this post to enter for your chance to win. Comments must be submitted by Tuesday, November 29 at Midnight PT. Pam and Maggy were in town on Sunday night to celebrate the launch of Pam’s book at a dinner with a bunch of fab food bloggers. I dragged Owen, my little trooper, up to San Francisco with me since he still wants to eat practically every two minutes. I couldn’t miss out on great food and even better company! Here I am with Pam and Maggy. I think adorable-ness runs in the Anderson family, no? Pam may need to consider a new career…baby whisperer. She got Owen to fall asleep in her arms despite the hustle and bustle of the restauarant. And, even though this picture may say otherwise, Owen loved Maggy too. Owen was simply ready to go home by the time we took this photo! Now get commenting and good luck on the giveaway! This past week we ended up having a bunch of surprise meals brought to us by friends. I can’t even tell you how amazing our friends and family have been helping us out over the last 8 weeks as I’ve recovered from my c-section. We are truly blessed and have much to be thankful for! – Click here for our meal plan and to share yours! – Leftovers…hopefully there are some left! Wow, this must be the easiest week of the year to do a meal plan for! 🙂 If you have a meal plan for the week, please share! It’s a good thing my mother-in-law came to visit last week because it actually gave me some food to write about! It’s been great being able to post about the delicious food she made for us…and so much of it is perfect for Thanksgiving, so it’s great timing! Today I have a nice, simple side dish for you that would be perfect right along with some turkey and stuffing, although we had it with filet mignon and that was pretty perfect, too. 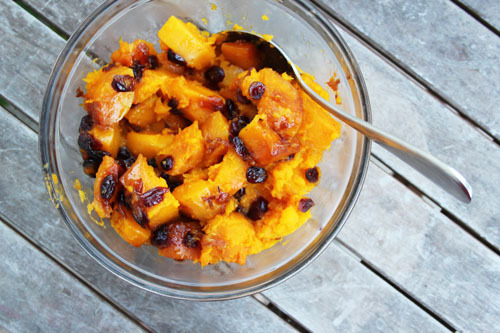 Pat ate some butternut squash at Whole Foods once that she loved, so she went home and recreated it. 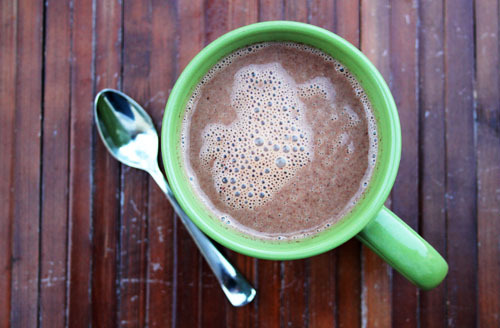 It is simple, easy and delicious. Just the kind of recipe you need for that busy Thanksgiving day. In a large pot, cook onions in butter and olive oil until soft over mediumish heat. Add sugar towards the end to sweeten/caramelize the onions. Add dried cranberries. Stir with onions about 1 minute or till softened a bit. Put the butternut squash into the pot with the onion mixture. Cover and steam/cook slowly over low-medium heat until squash is nice and tender (but not moist because Pat can’t stand that word and this is her recipe). Stir gently and add a pat of butter if needed before serving. I’m about to share a gem of a recipe with you. Seriously. 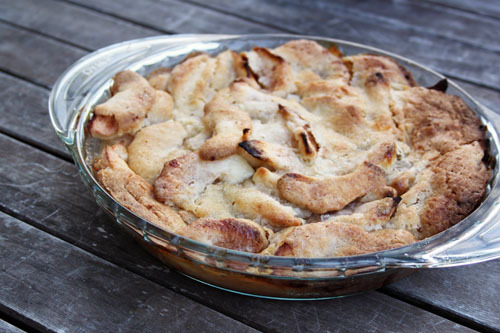 It’s my new favorite apple pie recipe. So yummy and so easy. Nomenclature aside, Nate and I both really loved this “pie.” I personally do think it’s better than traditional apple pie, but I’m sure there are people who would debate that point with me. But even those people would agree that this is a delicious dessert. The crust bakes on top of the pie and sort of seeps down into the apples in a super tasty, cobbler-like way, but it stays nice and crusty on top. Wow, that’s a terrible description for a really wonderful thing. You’ll just have to trust me. 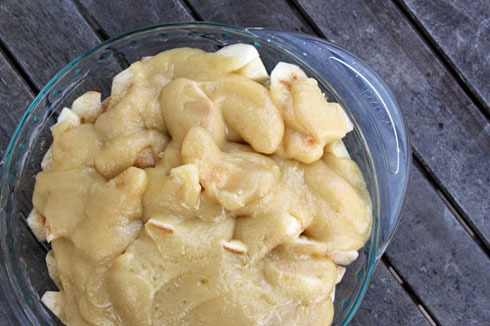 Plus, it’s way stinkin’ easier than making real pie crust. I’m all over easier! Thanksgiving is just over a week away, so I think it’s time we all share our menu plans for the big day! Of course, if you don’t have it pulled together yet, just come back later when you do! I seriously have been in such a baby fog I didn’t even realize Thanksgiving was so close, so we haven’t thought much about what we’re going to do that day. But I do know we’re going to eat! I’m going for a simple menu this year with our all-time favorites. And, of COURSE, Cranberry Slush! 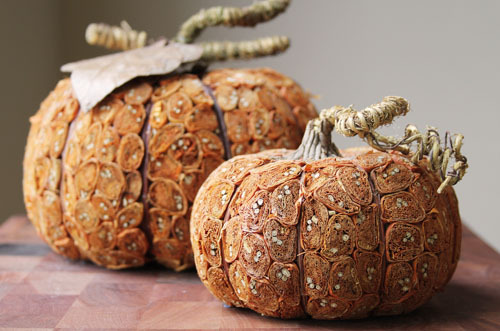 Please share your menu plan for Thanksgiving! And if you have links to recipes and/or can type recipes into your comment, please do! I’m certain we can all be great inspiration for one another for the best eating day of the year!